You are probably aware of the fact that comfortable shoes are very important whether you are going for a simple walk or workout session. Of course, workout shoes should be designed in a different way than simple everyday shoes, and that is what we are going to talk about here. In order to choose the best training shoes for women, we have prepared for you this article in which we are going to cover some of the best women’s gym shoes and their reviews. Let’s take a look at the best workout shoes for women now! Choosing the right shoe for a specific type of activity might prove to be difficult, but we have a simple guide for you to follow. If you want to reduce the risk of injuries and to not feel uncomfortable while exercising, you should remember that there is a right shoe for each type of exercise. Make sure to purchase workout shoes from a specialty store so you can get valuable advice from the staff there. This is very important if you are a novice. Always go to the store at the end of the day because your feet are at their largest then. Getting shoes in the morning will only lead to shoes that are too tight. Wear the socks that you plan to wear at the gym or during your workout. That way, you’ll know of the shoes are comfortable or not. When trying them on, they should be comfortable the moment you put them on. If you feel any pain then they probably are not for you. Walk in them for a couple of minutes. Breaking in is a myth in these circumstances, so if the shoes are uncomfortable from the get-go, they’re going to stay that way. Re-lace the shoes so that they will fit the way you want them to. Not everyone laces their shoes the same. If you suffer from any foot conditions, you should pay special attention to the shoe material and the sole, perhaps even purchase an additional sole. If your feet are too large and wide, then consider buying shoes for men or boys because they are of the same length but cut wider. Alternatively, you can look for shoes that come in wider models. These will be labelled with “E” on the box. In order to buy the perfect athletic shoes, you need to know your foot type. It is not true that foot size stays the same throughout our lives; it can change. A supinator or underpronator is when a person’s feet have high arches which roll outward. That means that you need cushioning in your workout shoes, so they can provide shock absorption. You should also look for soft midsoles and flexible soles. How can you tell if you’re a supinator? Take off your shoe and look at the bottom; if you’re a supinator, the top outer edge of your sole should be worn down. If you are a neutral foot type, then that means that you have an average gait with equal weight distribution across the whole foot. The shoes you should look out for need to have moderate to normal stability, because you need a balance of cushioning and support. The shoes should also be lightweight and they should bend to the ball of the foot. The soles of your shoes should be evenly worn down. A pronator is a person whose feet roll inward and the most common problems include flat arches and low arches. If so, then you need to purchase shoes that provide motion control and high stability in order to have a balance between your feet and legs. These shoes consist of a dense material near the arch so they can reduce the risk of collapsing. These models are usually very stiff and provide extra support. Pronators tend to have soles that are worn down on the top inner edges. When Your Workout Shoes Need to be Replaced? If you keep your athletic shoes for too long, they might cause more problems than help. Sometimes they can even lead to running injuries or foot conditions. It is considered that this type of shoes should be replaced every 3 to 5 months, depending on your performance, weight, and shoe quality. Now we are going to take a look at some of the signs that show it is high time you replaced your favorite shoes. If the mileage on your shoes is high, then they’ll need replacing. If you run on rough terrain, then you will probably need to replace your shoes sooner. People usually do not track when they buy shoes but every 300-400 miles means that your shoes are in need of replacing. That also depends on your weight and running style. If you are in pain, then that is definitely a sign that you won’t be able to feel comfortable in them again. Shin splints and pain in your knees are an indication of worn out shoes. Shoes that are made of better quality will last longer, but if you have spent more than 6 months in them, the design of the whole shoe will start falling apart sooner or later. Do not try to endure the pain because you might end up with bigger foot problems. If your treads are worn out and the shoes fail the twist test, then start looking for new shoes. When you hold a shoe at both ends and twist it, it should feel firm. And if the soles of your shoes look worn down, then that is definitely a sign that you need the new ones. That is because the soles should always last longer than the cushioning. Workout shoes can differ in design and material, but firstly you should choose the shoes according to the activity they are designed for. Shoes designed for everyday use and simple walking do not have to be made of the same material as the shoes for workout. Therefore you should look for the type of activity first. Running: go for the shoes that reduce the overpronation, which happens when your foot rolls inwards and the arch of the foot becomes flat. This type of shoe should have stability and motion control. That is why the heels are stiff and the cushion provides shock absorption and side support. If you are trail running, then it is very important for the shoes to have stiff heels so you can avoid rocks and roots; but if you are a professional racer, then racing flats can be just as good. Cycling demands lightweight shoes that are designed with stiff heels so you can pedal without hurting your feet. The same goes for mountain biking and spinning. These shoes are durable and minimize the pain to the balls of the feet. Weightlifting is sometimes best done when you go barefoot; however, those that want shoes go for those designed with raised heels so they can achieve a deeper squat. Field and court sports demand shoes with metal or plastic spikes on the bottom so they can provide traction, fast acceleration and turns. The shoes should be lightweight with a low-cut ankle, and thin but firm rubber soles. Volleyball, basketball and football are some of the sports these shoes work best for. Hiking usually demands shoes that are breathable, low-cut with flexible midsoles or high-cut on the ankle. They need to be durable so they can carry heavy loads and have supportive soles. The soles should be stiff and of high quality in order to avoid rocks and injuries. Let’s also not forget socks – instead of going for the cheapest brands, remember that sometimes the acrylic ones might be better because they stay dry and repel odors. Choose the socks according to your type of activity as well. Now let’s take a look at 7 comfortable workout shoes for women that are currently the best on the market. Design Features: imported and made of synthetic; the sole is made of rubber and the lining is made of smooth fabric. The sock liner is removable while the midsole of made of low-profile foam. Description: Check out the amazing GEL Fit Nova 2 Fitness Shoes by ASICS. They look stylish but they are also very comfortable because they are lightweight while the sole is made of durable rubber. You can do a variety of workout exercises in them and you will not feel tired nor will your feet hurt. They come in four bright colors and all sizes. Additionally, your feet will also breathe in them properly and you will not be bothered by odors. Design Features: they are made of synthetic with rubber soles for durability; the lightweight design provides comfortable experience while the stylish look is perfect for the gym. 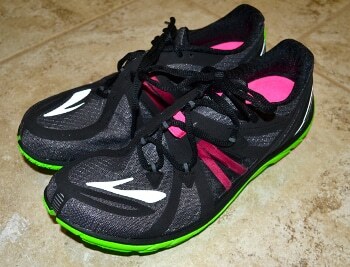 Description: These amazing Women’s PureConnect shoes by Brooks are all you need in a gym. They come in two colors – black and blue and in a variety of sizes. They are lightweight with a rubber sole, and the pod design provides a good grip on trails which will enable you to enjoy your running even more. You can train, exercise or run in them and you will feel comfortable. The midsole and outsole provide decent traction on roads, and they give even more support in the gym. Give them a chance and you will see for yourself how easy and comfy they are. Design Features: imported and made of synthetic; they are also perfect for vegans; the sole is synthetic; the SmoothRide technology provides friction-free wear and breathability, the tongue and collar are padded. Description: Mizuno is a famous brand that delivers workout shoes of perfect quality. Right here we have a model that is breathable, lightweight and made of synthetic upper materials. The tongue and collar are padded which makes the shoes even more comfortable. The foam insole of the Wave Hitogami 2 is removable while the midsole provides shock attenuation, resilience, durability and smooth running. The SmoothRide technology is designed in order to minimize the rapid acceleration and deceleration of the foot during the tough running. These shoes are perfect for the gym or racing. Design Features: imported and made of 100% synthetic; the sole is made of rubber; the EVA+ foam midsole cushioning make them comfortable while the memory foam is in foot bed; it features a modern look. Description: Check out these fantastic Women’s Kineta Relay-W workout shoes by Saucony because they are a perfect choice for your workout sessions! They come in a couple of bright colors and a variety of sizes. The foot bed is made of memory foam which reduces the friction and creates a better experience during the workout. The EVA+ foam midsole cushioning is also responsible for a better feeling while the rubber sole is durable and effective. There is nothing better than having breathable shoes in which you can feel great but also achieve great results in the gym. Forget the blisters and bad odors that make you feel uncomfortable – choose the shoes of good quality. Design Features: imported and made of textile materials; they feature the standard fit and light-weight mesh and TPU upper materials. The lining is breathable and the EVA midsole is compressed the outsole is made of rubber with 3 mm depth. Description: Looking for a new pair of gym shoes that would be breathable, durable, stylish and comfortable? If the answer is yes, look no more, because this model by Inov-8 features all of this! The Women’s F-Lite 235 are perfect for all athletes who enjoy racing, weightlifting or simple workouts in a gym. They provide enough comfort while at the same time they are stable and durable. You will achieve great results because your feet won’t hurt; instead, you will receive flexibility and versatility. Design Features: imported, manmade and created of synthetic materials; they feature the synthetic sole, lace-up closure, the 0 mm heel-to-toe drop and padded tongue and collar. They come in three colors and a variety of sizes. 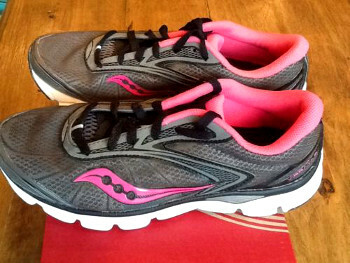 Description: Saucony brings yet another great model for women who love to feel comfortable during their workouts. These award-winning Saucony Women’s Virrata 2 Running Shoes have an eye-catching design, but they provide maximum stability and durability. The synthetic sole will reduce any friction during your exercises or running while the material of the shoes is manmade and breathable. The heel and platform will increase your abilities because you will feel no pain and you will avoid blisters. Give them a try and enjoy the fabulous experience! Design Features: they are imported, made of synthetic materials; and they feature the synthetic sole, a seamless heel cup with silicone grip for a locked-in, and an anatomical fit. They come in a variety of bright colors and sizes. The full-length Micro G® midsole creates an incredibly lightweight and responsive experience. Description: Take a look at this fabulous model by Under Armour! These workout shoes for women do look fabulous and stylish but that is not what make them unique. It is the anatomical fit, the seamless heel cup with silicone grip, and the TPU shank at mid foot for extra support and stability that make them stand out. They are perfect for racing and all the exercises at the gym. The Under Armour Women’s UA Speedform Apollo Sneaker increases your performance because they are lightweight, breathable and a natural fit for your feet. Enjoy your workout sessions even more with these amazing shoes. We have covered 7 really amazing workout shoes for women and their basic specifications. They are some of the best models on the market right now, mostly because they provide the best performance, breathability, durability and support. Plus they are also comfortable therefore a perfect choice for workouts or other outdoor activities. We have also covered different types of workout shoes for different activities and what you should do before you purchase them. Do not forget that you should select your shoes according to your feet’s shape and activities you wish to perform in them. These shoes are supposed to provide both comfort and support so you should not feel sorry to pay more for the better quality. Thanks for reading and if you have any questions, feel free to post them in the comment section below!